The Balearic Islands are not only renowned for vibrant nightlife and cultural diversity, but they are a destination of sheer beauty. Such clear waters surround the islands of Formentera, Ibiza, Majorca (Mallorca) and Minorca that it is sometimes difficult to make out the difference between the sky and the sea, leaving it to the imagination of the traveler, resting peacefully bellow and above nature's wonders. We offer our clients exclusive access to the best selection of luxury yacht charters and destinations worldwide whilst providing the highest level of service. Charter cruises in those unearthed destinations is as much of an adventure as it is a rare pleasure. And there is always the option of calling at the closest port or marina for an emergency dose of party time. After all, why not combine the best attributes of the vicinity in one journey. 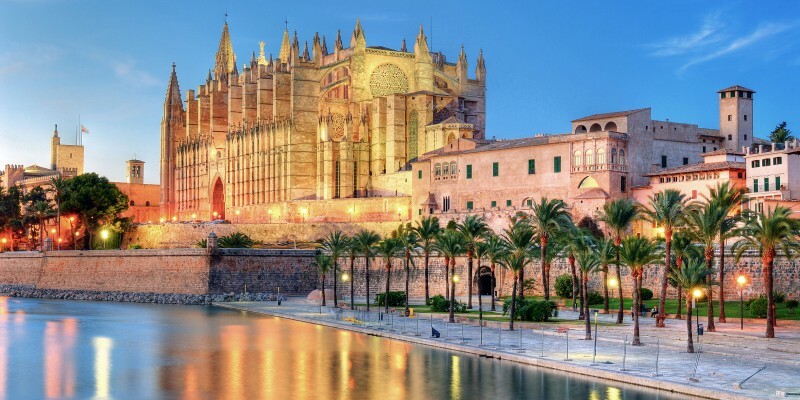 Palma de Mallorca, Portals, Ibiza, Formentera are just one of the Balearic Islands most famous stops. There’s more to the Balearic Islands than lazy days on the beach and crazy nights on the town, and chartering a yacht is the best way to discover exactly what else this part of the Mediterranean has to offer. From the vibrant port of Ibiza’s Old Town, to the secluded coves of Menorca and the historic towns of Mallorca, a luxury yacht holiday in the Balearic Islands offers is all, whether you want to soak up the sun, soak in the culture, or soak yourself in the crystal blue waters. Where are the Balearic Islands? Sat just off the eastern coast of Spain, in the middle of the Mediterranean, the Balearic Islands provide as much variety as you’ll find anywhere in Europe, from prehistoric ruins to exclusive boutiques and ancient fishing villages to world-famous night clubs, all set against a backdrop of warm turquoise seas and gloriously golden sandy beaches. There are four islands, each of which offers a different experience from the next. Ibiza is arguably the most famous – not least for its world-renowned nightclubs – but there’s more to the White Isle than the San Antonio clubbing scene. You can get back to nature by venturing north, and exploring the hidden caves and thick pine forests, or chill out at the hippy markets of Es Cana and San Carlos. 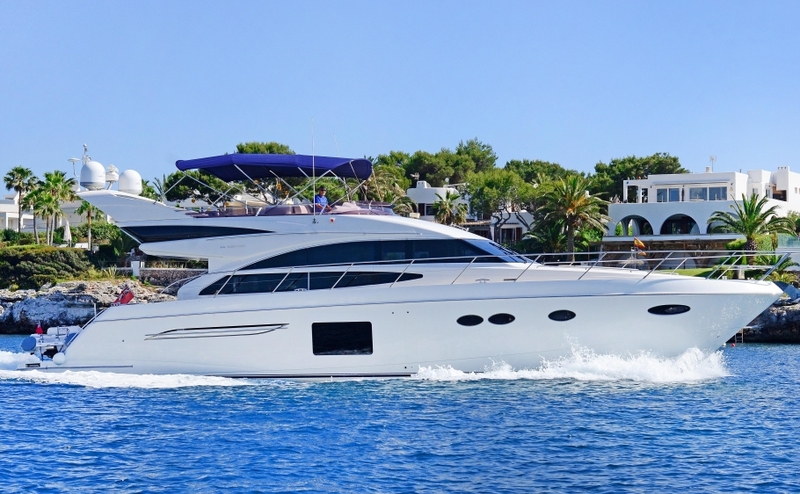 Mallorca is the biggest island and its miles of golden beaches and secluded coves, all of which are delicately touched by the warm Mediterranean, make it a perfect place for yacht charter in the Balearic Islands. 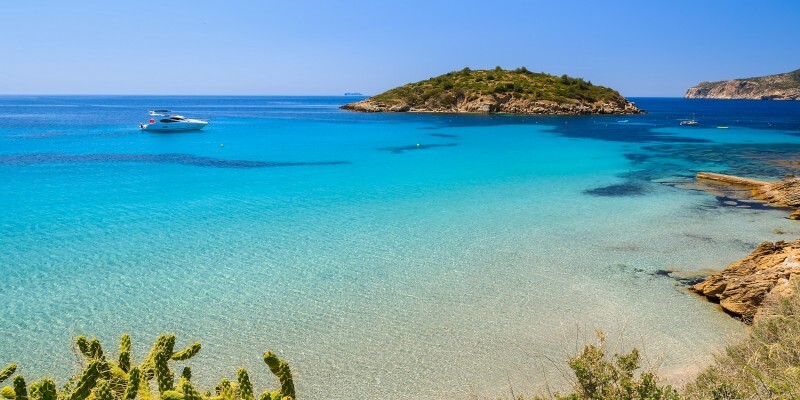 If you’re chartering a yacht in the Balearic Islands as part of a family holiday, then Menorca is a worth a visit – life moves a little more slowly and serenely on the quiet beaches of Son Bou and Cala’n Forcat, and you can add education to your schedule by visiting the island’s prehistoric ruins. 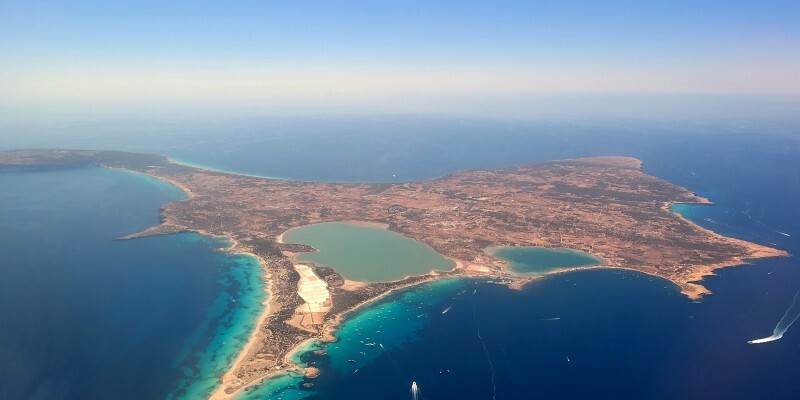 Formentera is the smallest and least well-known of the islands, but is no less beautiful – its coastline of white sand contrasts beautifully against the clear blue sea, and its beaches are said to be the very best this side of the island. It’s recommended you implement an itinerary before embarking on a luxury yacht holiday in the Balearic Islands – with so much to do and see and do across these four jewels in the glistening Mediterranean Sea. 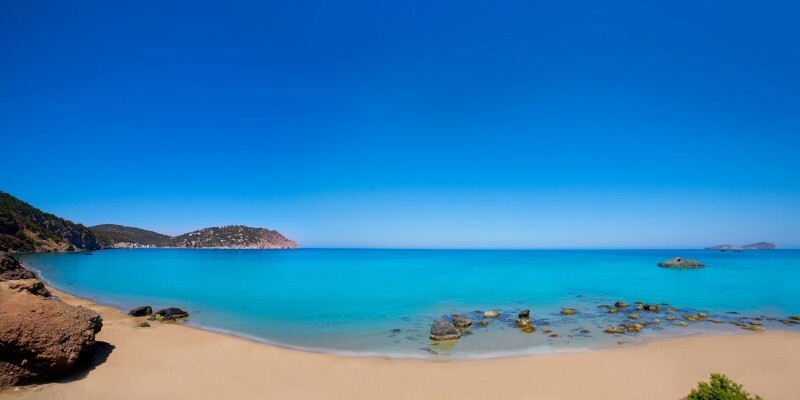 Starting at Menorca, the most westerly of the islands, you’ll be greeted by bottle-green coves and shallow turquoise bays at the resorts of Son Bou and Cala’n Forcat, both of which offer the perfect family getaway or peaceful escape. The island is also a great destination for snorkelling, and the wealth of traditional family restaurants means there’s no shortage of authentic, Mediterranean cuisine. 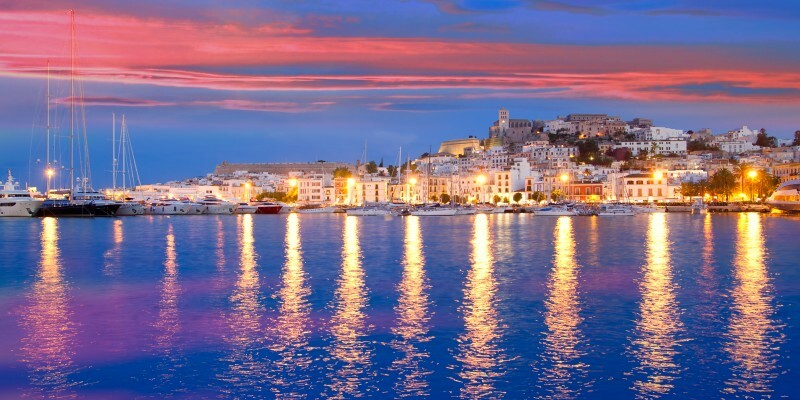 Sailing east to Mallorca, the biggest of the Balearic Islands is a paradise for the rich and famous – the Philippe Starck-designed Port Adriano a must-stop destination to take in the ambience and the high-end gastronomy and glitzy designer stores. And if that’s not quite enough, Palma, the island capital, is home to the best boutiques and restaurants. Elsewhere on the island, there are dozens of picturesque fishing villages, secluded caves, and vineyards where you can please your palette, while the more adventurous can cycle Sa Calobra, a 10-kilometre-long trail that hangs down the side of a mountain. Continue east and you’ll arrive at Ibiza, where you’ll find more great shopping destinations, from designer goods to local curios, and some of the best nightlife on offer anywhere in the world. And if, after all that, you need to kick back and relax, you can spend a lazy day soaking up the sun, culture and history of the Old Town, or relax on any of the island’s beautiful coves and beaches. And be sure to take in one of the White Isle’s famous sunsets from the deck of your yacht. Finally, you should venture south to Formentera for some of the Mediterranean’s most beautiful, untouched beaches, alongside some of the sea’s best snorkelling at the UNESCO-listed diving sites. The perfect way to relax after an amazing experience taking a yacht charter in the Balearic Islands. 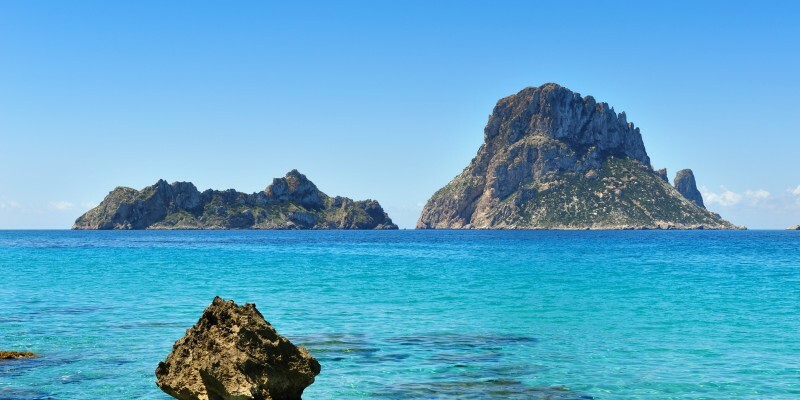 The Balearic Islands have a typically Mediterranean, warm, year-round climate, with mild winters and hot summers, which can be sultry but are usually tempered by refreshing sea breezes. The islands are popular tourist resorts all year around, and get particular busy with every kind of holiday-maker during the summer months, from quiet families to festive youngster. If you travel between August and October, you’ll find the seas are particularly warm and pleasant, while the climate is ideal for sailing any time from March onwards. The Euro is the region’s accepted currency, and the local language is Spanish. You can access any of the Balearic Islands by sea or air, and we highly recommend exploring the islands by yacht, so you can take things at your own pace and fully appreciate everything that each has to offer. 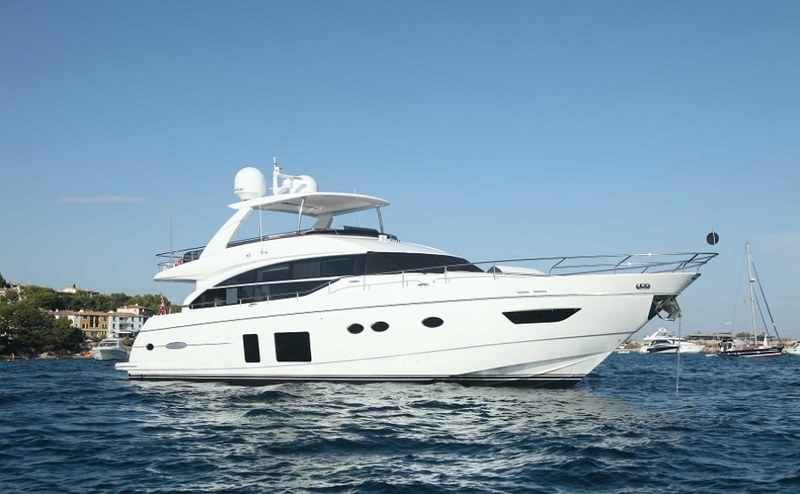 Princess Charter offers a variety of yachts for charter in the Balearic Islands, ranging from 20 metres to 100 metres in length. To book your perfect getaway, give our team a call 0207 499 5050, or email info@princessyachtcharter.com. Alternatively, leave a few details here, and we’ll get right back to you.